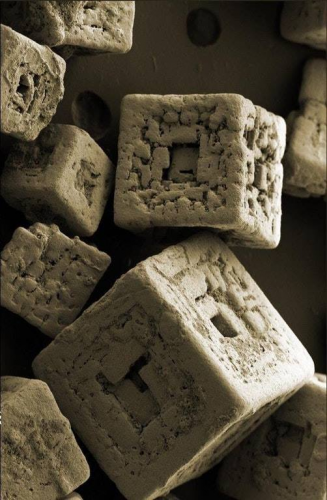 Grains of Salt Under Electron Microscope. Wow! Square. And like dice.